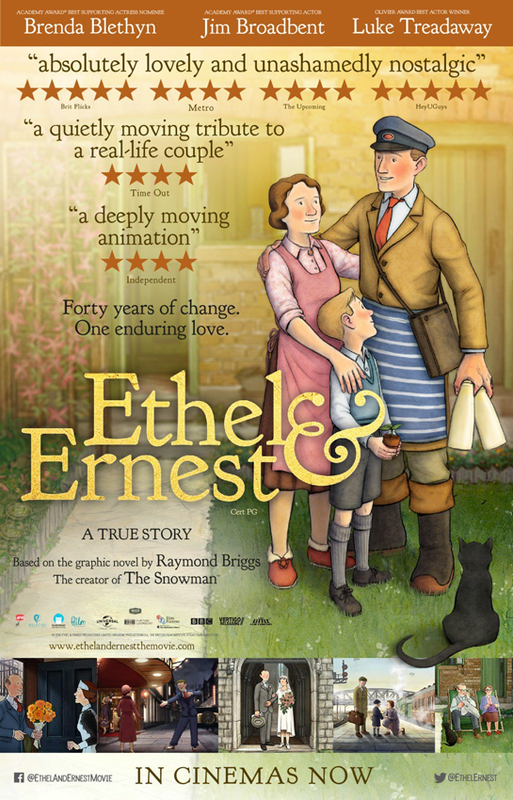 Ethel & Ernest is an exciting new hand-drawn animated feature film based on Raymond Briggs’ classic graphic novel. The story, which many consider to be Briggs’ masterpiece, centres around the true story of his own parents, beginning in the late 1920s when they meet, and following their lives together through four decades of extraordinary social change in London, including the Depression, World War II and the dawn of television. 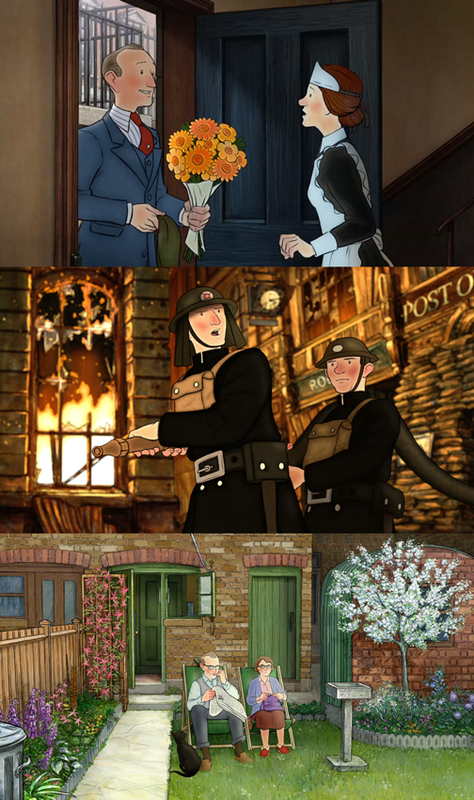 Starring Oscar-winning actor Jim Broadbent and Oscar-nominated Brenda Blethyn in the title roles, and featuring a specially written track by Paul McCartney, Ethel & Ernest is marked as an important, ambitious and unique project for animation. Commissioned by principal funders BBC, BFI, Film Fund Luxembourg and Ffilm Cymru Wales, with the support of the Welsh government, the film is produced by Lupus Films in London, who handled all design, pre-production, animation, voices, music and post-production, with Cloth Cat Animation providing the ink and paint, compositing and 3D work, and Melusine Productions/Studio 352 in Luxembourg on animation, clean-up and backgrounds. An official movie website for Ethel & Ernest has also been launched to coincide with the film’s release. Developed by Thud Media, the site is the ultimate resource for fans of the award-winning story, including features such as interviews, behind-the-scenes insights, galleries, exclusive learning resources and more. We’re proud to have worked on such a high-profile project here at Cloth Cat, and our talented team have done an amazing job bringing Raymond’s iconic look to life.